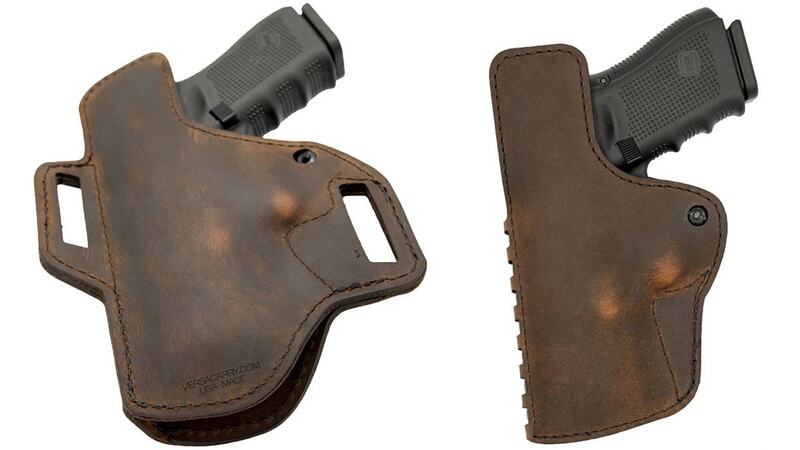 Versacarry broadens its holster lineup, announcing a new hybrid holster series known as the Compound. The Compound features a Kydex shell encased in water buffalo leather. The embedded Kydex frame offers a rigid design better suited to re-holstering, while the leather exterior boasts a comfortable approach that Versacarry says is better suited to comfortable concealed carry. The marriage of the materials eliminates unwanted stretching, according to Versacarry, in addition to offering a unique look. Available in IWB or OWB models, the Compound features adjustable retention. With right handed and left handed variants on deck, the Compound comes in black leather/forest green Kydex or distressed brown leather/black Kydex. The Compound provides fits for most popular handguns and is priced at $68. 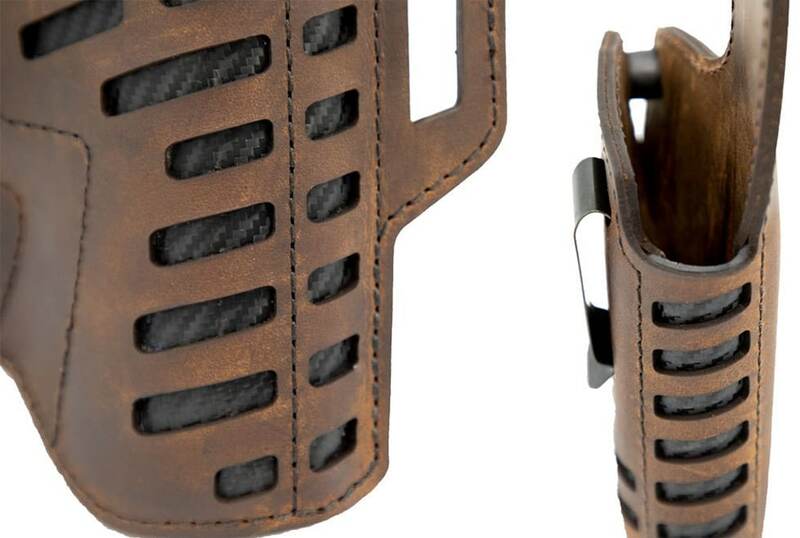 The post Versacarry launches Compound series holsters appeared first on Guns.com.